Size: 2 3/4 x 2 5/8 "
Price listed is for each embellishment. 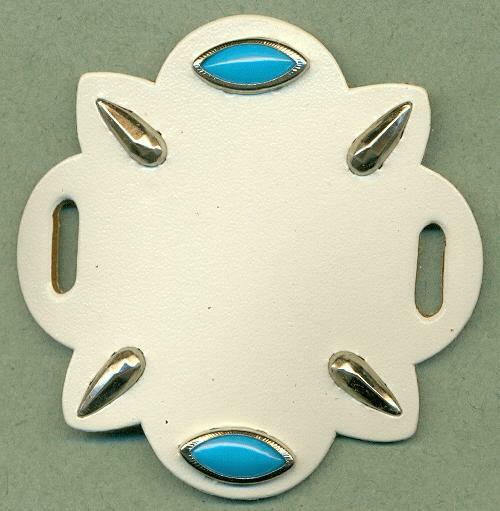 These are approximately 2 3/4'' by 2 5/8'' belt embellishment. These appear to be leather a felt like backing attached. I could be wrong but, the front definitely look and smells like leather. They are accented with 15/7mm mottled turqoise plastic rim set stones and elongated pear shaped bullet heads.